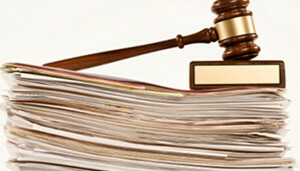 Many different types of law exist, but one of the least understood types is regulatory law. Unlike laws passed by Congress or state legislatures, laws of this type are drafted and implemented by individual agencies at the federal level. Typically, laws in this particular category relate only to the activities overseen by a particular agency. This makes them highly specific, and allows any laws passed to have immediate impacts on public policy, federal spending, ethics, and other considerations. To better understand the implications of regulations and how they’re implemented as laws, keep a few important pieces of information in mind. It’s common for those without a full understanding of the regulatory process to assume that federal agencies are “unilaterally” setting and enforcing laws that the public didn’t vote on. This is actually not true. In fact, only agencies delegated by Congress can draft their own regulations and laws. If Congress doesn’t authorize an agency to create these laws, they must rely on passing them through the legislative branch of the government instead. Currently, most federal agencies have the ability to draft their own regulations and enforce them as laws. This includes the Environmental Protection Agency, the Department of Homeland Security, the Federal Communications Commission, and many others. Another way that Congress retains at least some control over the regulatory process is through its duty to “advise and consent” to any presidential nominees. Since these nominees are responsible for guiding an agency’s regulatory agenda, Congress can easily block those nominees who they feel are too extreme, not in line with the majority’s regulatory agenda, or not representative of the nation’s best interests. This is one of the key ways that agencies are held accountable for both their leadership and their stance on greater or lesser regulation of the American economy. Just like a law passed by any agency or legislative body, regulations can be challenged in court. These laws go through a similar appeals process and can eventually make their way to the Supreme Court. The primary difference is that regulations proceed directly to federal courts, whereas most state laws would first be litigated in state appellate courts. If a regulation is overturned, it can no longer be enforced by the administrative agency that originally drafted it. A new regulation can be put in its place, but that can also be challenged if it results in similar conflicts. Though Congress delegates regulatory authority to federal agencies, it doesn’t give up the ability to pass its own laws related to a given agency’s purview. Congress can pass environmental regulations, for example, even though the EPA can do the same thing on its own. These statutory laws must be followed by the agencies and industries to which they pertain, which might curtail a federal agency’s ability to regulate a certain industry or create more stringent regulations in a given area. Most of the nation’s laws come from the legislative process, comprising a large number of statutory laws that govern everything from student loan interest rates to fuel economy standards. Regulations, however, are an important way to keep the public safe, hold businesses accountable, and bolster economic fortunes over the long-term. For this reason, regulatory law deserves a great deal of attention from those following politics, legal developments, or the business community.